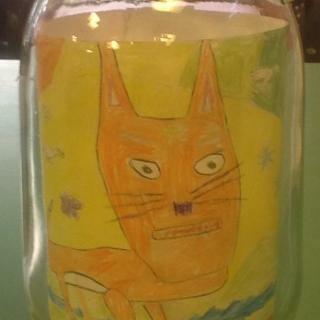 Prior to the opening of Walthamstow Wetlands in October 2017, South Grove took part in an art competition to create a glass jar that would form part of a hanging sculpture for Walthamstow Wetlands Visitor Centre. The winning entries were displayed as part of a large hanging sculpture, Water and Life which was located in the Wetlands Visitor Centre. Each jar was inspired by the Wetlands site – it’s industrial, environmental and social history. The finished sculpture comprised 150 glass jars which hung from the ceiling of the cafe. The jars that made up the sculpture are now exhibited at No1 Hoe St providing an opportunity for everyone in the community to view the individual art works up close. During the exhibition period the organisers would like everyone who contributed to making the Water and Life sculpture to come and collect their jars – an enduring memento of their achievement and of Walthamstow Wetlands. Last deadline for jar collections is 5pm Saturday 1 December 2018. If you want to collect your jar please go along to No 1 Hoe St where staff will help you to find and identify your jar to take home. Any questions please contact wfculture@walthamforest.gov.uk or pop in to No 1 Hoe St.